It might be cold outside but it’s going to be a hot month in the Commons! Come Friday and Saturday nights are swinging with our weekend music lineup. All shows are free and start at 7:30pm on the Third Place Commons stage. See you at the Commons! Join us for old blues with deep roots. A mix of pop and jazz with Caribbean rhythms in English and French Creole. Classic Bossa Nova, Brazilian pop and jazz. 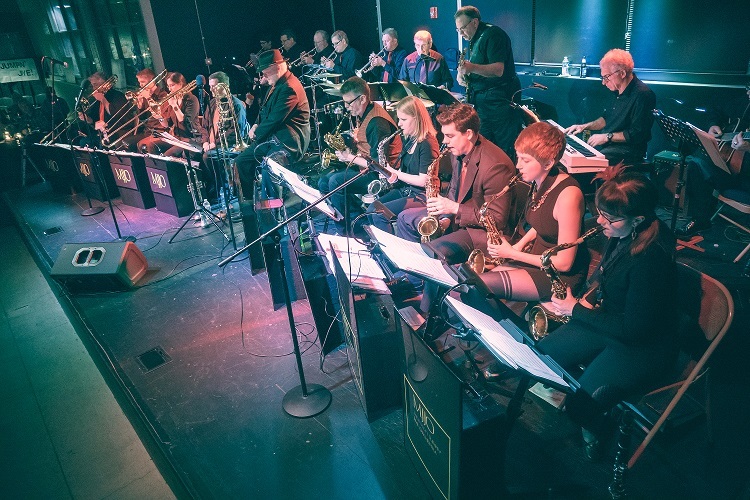 Join us in welcoming back “Seattle’s hardest working big band” to the Third Place Commons Stage. A hard-swinging jazz vocalist, singing everything from swing, to Bossa Nova and simple ballads. Scorching blues feeling with the technical excellence of top flight jazz. Microsoft employees, performing original compositions and standards.